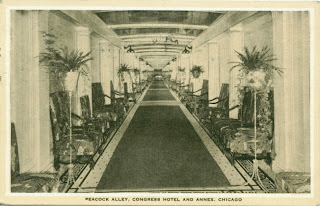 Having published that last article on the truth about the “Hand of Mystery,” I see that there are a LOT of web pages about ghosts at the Congress Hotel. Most of them appear to be the stories I’ve been telling about the place for the last several years after having gone through about five rounds of a game of “telephone.” One could look at it as an object lesson about just how little research most web pages and TV shows do on the ghost stories they tell. For a time I was able to take tour groups in here regularly, but those days are over; they’re much less free with letting groups past the lobby anymore (and refused to let the show I filmed a segment for there on Friday talk about anything to do with ghosts – they’re less open to this sort of thing now than they used to be). But in that period of time I got to know the history and ghost lore of the place pretty darned well. I also (and this is pretty critical) learned to tell when a guard was just telling me what he thought I wanted to hear. Which they did quite a bit. I think that these days, every time someone calls and asks which room is the most haunted, they tell them a different room number. That said, though, even my general skepticism, I’ve been known to say that if the Congress Hotel isn’t haunted, no place is haunted. Lots and lots of gruesome stories can be traced to it, and ghost stories do circulate. The boy is supposed to haunt the 12th floor, and is presumed to be the ghost of Karel Langer, a 6 year old who was thrown out the window by his mother, Adele, along with his brother, Jan Tommy, in the late 1930s. They were refugees from Prague; Adele was afraid they were going to be sent back and had a nervous breakdown. The story was widely reported in the press at the time; the only real confusion is whether the driving factor behind Adele’s breakdown was fear of being sent back to Nazi rule or oppression at the hands of German Americans. The press at the time reported it both ways. Several security guards say they’ve seen it, and several employees have felt as though they were being chased down the hall. That happened to me once, too. Though different guards and front desk workers will tell you different things if you ask which room is the most haunted, the 12th Floor of the North Wing is pretty well agreed to be the spookiest one. I do know of employees who won’t go there if they can possibly help it. This one’s my fault, guys. This one is my fault. 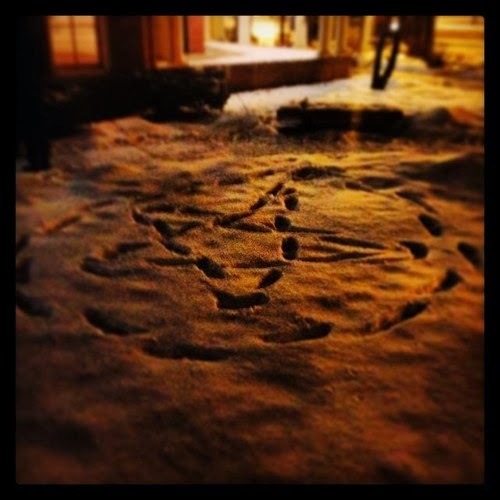 It started as a joke, then snowballed. See here. 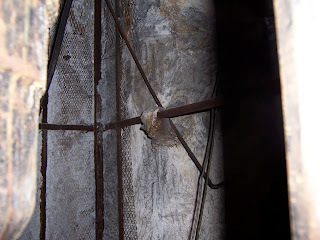 No evidence that anyone was ever walled up inside the place, and the wall in question isn’t nearly thick enough. The hole in the wall where it resides is not typical available to the public (and may not be entirely safe). I’ve only been in the place where you can see it a handful of times. A few workers have told me, back as far as 2006, that they’ve seen a guy with a peg leg lurking around the south tower. When we first heard the story, a guy I was working with told me he’d found an article about a hobo with a peg leg being murdered there. I’ve still never seen the article, though, and don’t really have much reason to think it really exists. (edit to add, 8/2015): HOWEVER, I did have to think of Peg Leg Johnny when I read about Conway, the One-Legged Killer Clown, who was never seen again after escaping from prison in 1925. The Congress is just up the road from the site of a murder he was linked to, so, hey, why not? 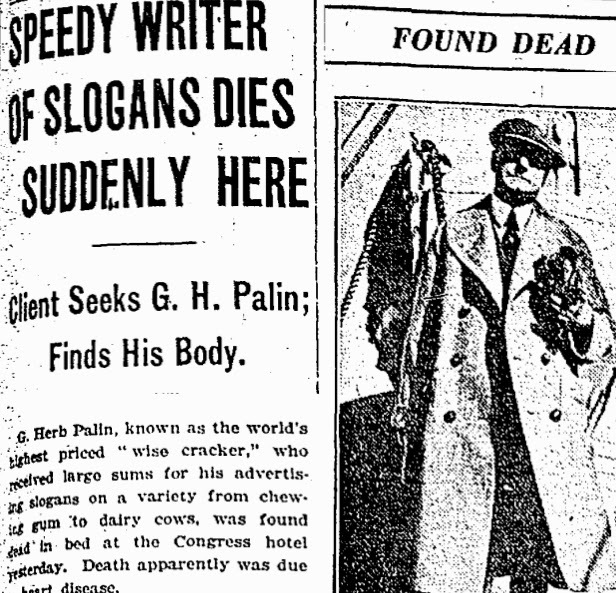 Rumors put him in Ohio after his escape, but I’d love to imagine that he died in the Congress Hotel. The Peg Leg ghost is one of the wilder stories, but there are several first hand witnesses, which is more than you can say for a lot of better known ghosts. 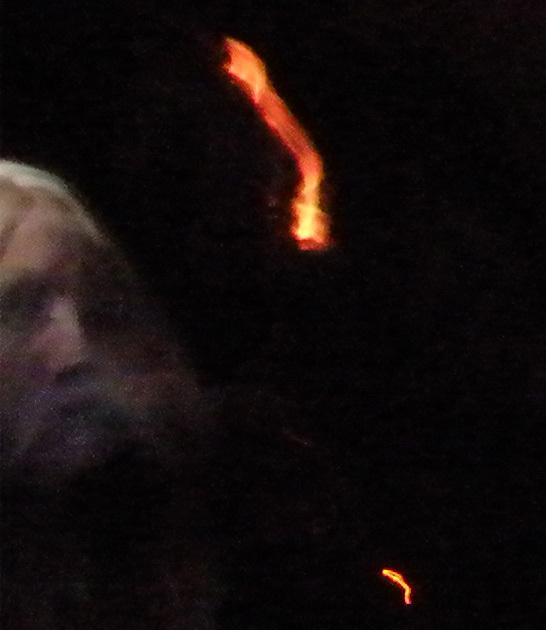 This one gets reported by guests a lot – a shadowy figure who shows up and, for some reason, scared the crap out of people. One guard tells me he chased it up to the roof one time. 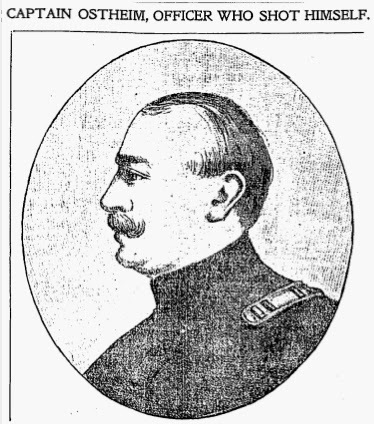 We have some theories as to who it could be the ghost of, the most common of which is Captain Lou Ostheim, a Spanish American War vet who shot himself in the hotel in 1900, apparently after waking from a nightmare (though details are sketchy, and rely mainly on what the guys at the inquest landed on). The nightmare angle might be used to explain why it scares people so much; I’ve been on plenty of ghost investigations where we see a weird shadow, and when you actually see them, the typical response is, “Oh, there goes one now!” Not the screaming hysterics one sees on TV. Never owned the hotel and never lived there – stories that he did are confusing the place with the Metropole and the Lexington. He probably was there a time or two and we can connect many members of his gang to it, though; some of his gang even held a guy prisoner there, probably on his orders, for a while. And one of the best ways to connect Capone to the St. Valentine’s Day massacre was that someone called his place in Florida from the lobby of the Congress a bit before and a bit after the shooting. A number of gangsters – both from his gang AND the other local gangs – did live there in the 1920s. There are occasional reports of a ghostly guy dressed up like it’s the 1920s. I’ve heard reports of a guy who appears and disappears looking like he just came out of a disco circa 1978, but never from a reliable source. Holmes can be traced to a couple of buildings nearby – like, a block or two away – but there’s no evidence putting him in the hotel itself. Given his connection to nearby buildings I wouldn’t be at all surprised if he came in to look around or have a drink when it first opened, but there’s never been any data unearthed connecting him to the place, but he wasn’t in town all that long after it was opened, and stories that he used to meet potential victims in the lobby are firmly in the realm of fiction. 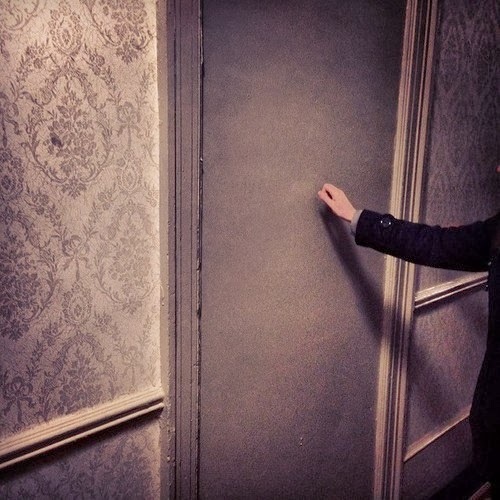 The stories that one room is so haunted they had to seal it shut probably grew from the old stories about room 666 being sealed off (really, there’s an office where room 666 would be). 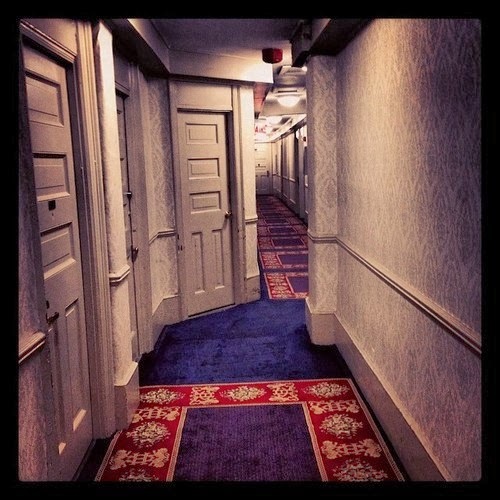 Lately I’ve heard a lot of stories about room 441 being the most haunted, but those are of fairly recent vintage – for a long time they’d just come up with a random room when you used which was the most haunted (though since this post was first published I think they’ve settled on 441, after it was written about a few times and a ghost tour company started staring their tours in the lobby). . The story that any of them were the basis of Stephen King’s 1408 is outright fiction that Ursula Bielski invented for her article on it in one of her books – in the book she says that “some researchers have come to the conclusion” that King used the story as the basis, but didn’t say which ones or how they arrived at that conclusion! Frankly, you show me a researcher who concludes that, and I’ll show you an idiot. King himself never mentions the hotel in his intro to “1408;” he just says that it’s his attempt at the old “haunted room at the inn” story that every horror writer should try out eventually. While I was working for her at one point I called Ursula on it, and she just said, “Well, it makes a good story.” I don’t work for her anymore, and can’t imagine I ever will again (she’s way into Donald Trump these days), so I suppose I can say that now. Plenty of stories here – whispering women, humming men, phantom gunshots, and even Teddy Roosevelt (whose career died here, from a certain point of view, in 1912). Some of the coolest pics I’ve ever seen were taken here, and I’ve heard the piano play itself. Not a whole sonata or anything, just a couple of random notes, but a note or two is enough to give me the creeps. Several guards have stories about hearing music coming from the place. This is another place where there have been employees occasionally who don’t like to go near the place. Spookier-looking than the Florentine, but there’s really not as much ghost lore behind this one. One guard did tell me that he’d seen the peg leg guy here once. There are stories about the adjacent kitchen area, though. Disconnected equipment is said to start itself up. 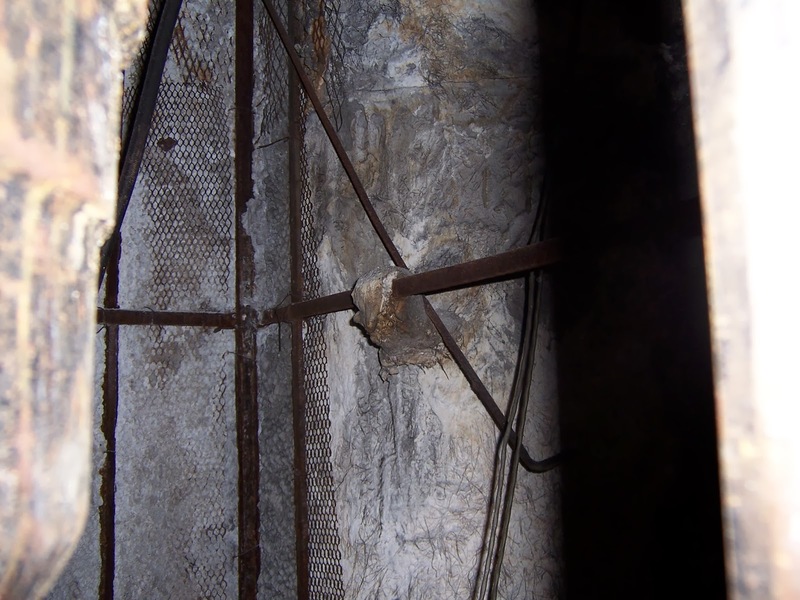 The tunnel connecting the place to the Auditorium Theatre has been bricked off for years; one guard and I had a plan to bust into it with sledgehammers for a while. But where the entrance is depends a lot on who you ask; the basement isn’t accessible to the public. It’s pretty neat, though, especially if you like old mattresses and toilets. It’s like an ancient toilet burial ground down there. (New band name: “Ancient Toilet Burial Ground.” I call it). 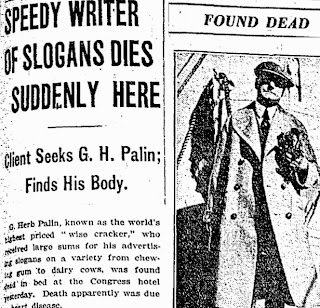 By the way: My favorite “death” story there isn’t ghost related: in 1928, G. Herb Palin, the sloganeer who coined the phrase “safety first” died there. It would be a great ironic story if he fell down the stairs, but it was heart issues. This comes up more than you’d think; for my filming there the other day they were doing some odd and deadly-looking chair stacking to get us seated at the right height, it was fun to point out that the guy who first said “safety first’ died in the place. Well, that’s a pretty decent cheat sheet if you’re googling around looking for ghost stories about the place. I’ve got no respect for teams who think that running around with an EMF meter and taking pictures of “orbs” is a substitute for doing your homework. If you’re serious about looking for ghosts, remember what Indiana Jones said: we cannot take mythology at face value. Not to make this a shameless plug, but for MUCH more detail see The Ghosts of Chicago book, which covers the place in a lot more depth. See also: some other Congress posts on this blog. Welp, I guess I have to fess up to this one. Apparently this story has gotten all out of control! 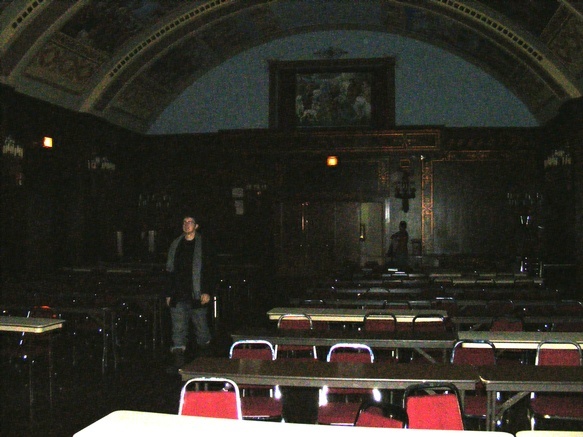 In 2006, I participated in a ghost hunt at the Congress Hotel, the first of several I’d be involved with over the next few years. Like most of them, we did more exploring than anything else. There’s a lot of exploring to do in that place – there are nooks and crannies and service hallways and unused rooms and space everywhere. A picture I took of the “hand’ in 2006 that turns up all over the internet (and TV, apparently). It became a sort of a running joke. 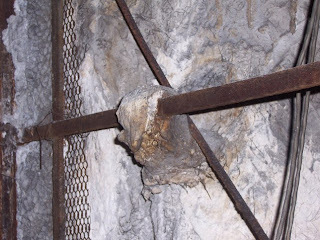 At first we called it “the Devil’s Hand.” Occasionally I’d show the picture of on tours and tell the story that it was “the Hand of Drywall Dave.” Often the story would go just like this: after showing the picture, I’d say “There’s certainly no evidence backing up any rumor that a worker was walled up inside the place, and it’s probably just a glove that got plastered over by some contractor with a weird sense of humor, but this could be The Hand of Drywall Dave, reaching out towards freedom!” Willy, my old driver, always wanted to throw in a gag about Jimmy Hoffa, too. I never suggested that it was real, and always assumed that everyone knew it was just a gag. But over time, I noticed it turning up on a handful of webpages. And last night, when I went to the Congress to film a segment for an upcoming Travel Channel show, the crew was all excited about the story that some guy was buried in the walls. Apparently it’s being taken as fact on a LOT of webpages. I made the story up fairy early in my career, when I was more casual about throwing out gag stories to fill time when we got stuck in traffic; I’ve since learned a valuable lesson that no story is so ridiculous that it won’t be taken as fact. Even the story I tell when we get stuck in traffic by a McDonald’s about a guy being haunted by the Hamburglar is probably going to turn up on TV sooner or later. Last night, though, I did get to take the crew to see the “hand” – it’s still there. For a while it was thought to be a glove that got plastered over by some contractor with a weird sense of humor, but it’s deteriorated enough that it’s clearly not a glove. More likely, it’s just some caulk that happens to look like a hand. For the record, the wall it’s coming out of isn’t nearly thick enough for anyone to be buried in it. I was actually able to touch it with a pipe that happened to be around there last night (there’s a lot of stuff lying around in those service hallways), and probably could have busted the thing, but I decided not to. The whole place would probably collapse if I did; it’d be just my luck to have it be a load-bearing mystery hand. So, is Drywall Dave holding the place up single-handedly? It’s as good an explanation as any other for how the place has stayed in business! I suppose the lesson here is that you can’t believe everything you read on webpages about ghosts and hauntings. The Congress, in particular, is one of those places where any “real” stories are getting buried by nonsense about Al Capone owning the place, a room being so haunted that it was sealed shut, etc. There have been plenty of gruesome deaths and reports of hauntings in there that can be traced and confirmed – there’s no need to make anything up. Unless it’s just for the sake of a joke. The 10 year strike at the Congress Hotel is over. FINALLY! I was always upfront with the UFCW on what I was doing there – I never told people to stay there. I took people in, but it was to talk about the history, look at their stuff, and use their bathroom. I’ve always felt that promoting the fantastic history of the hotel was important if management was ever to decide that it was worth saving the place at all. But I still felt bad going past the strikers, and there’s no getting around the fact that people probably WERE staying there after reading some of my writings about the place or going on one of my tours of the old ballrooms. This is good news for ghostlore fans – I sometimes say that if that place ain’t haunted, NO place is. Built to accomodate World’s Fair visitors in 1893 (though stories that HH Holmes was ever there are totally unsubstantiated), dozens of people have died in the hotel, including the sloganeer who coined the phrase “safety first” (it would’ve been funny if he fell down the stairs, but it was a heart attack). The list of murders and suicides there is a long one. In the early days of prohibition, members of several different gangs lived there. Tony Genna lived in a luxurious suite. Theodore Roosevelt announced he was leaving the Republican Party there in 1912. The Hand of Drywall Dave – Update! 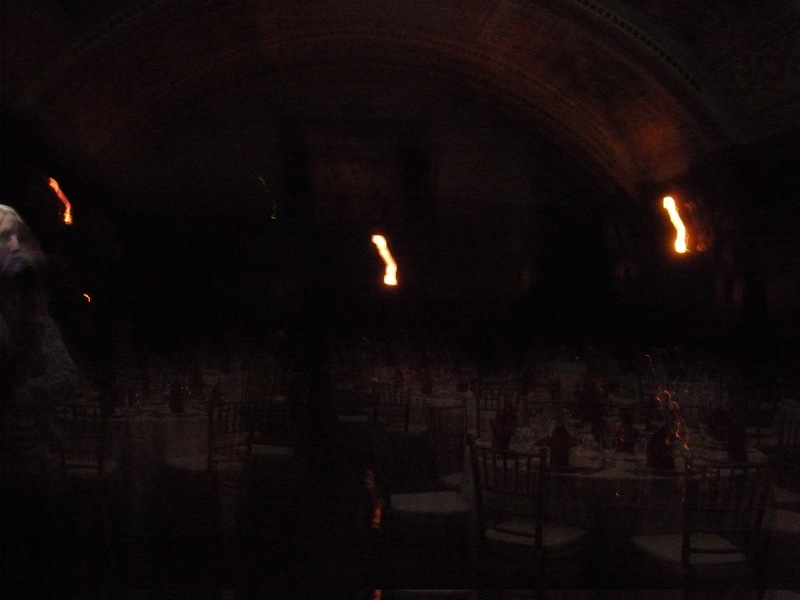 Here’s an odd shot from a July, 2009 tour by Christy Jackson – a shot from the Florentine Ballroom at the Congress hotel. Doesn’t look like much on its own. Here’s a close-up, though, of the thing on the left. Dude with an old-timey mustache? Odd, huh? My first though on seeing it was to make a crack about Buffalo Bill (who did, in fact, stay at the Congress and was probably in this ballroom at one time or another). 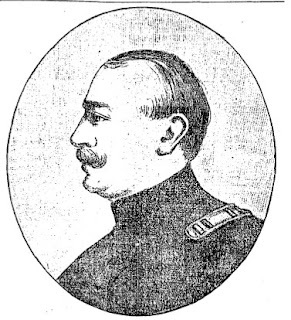 But what about Captain Louis Ostheim, the Spanish American war vet who killed himself in the hotel in 1900? What do you think? Messing around with the photo makes me think that it’s probably actually a woman on the tour, and the “mustache” is an optical illusion caused by motion blur. But, as I say, there’s no GOOD ghost evidence, only COOL ghost evidence. This is pretty nifty-looking even if it’s an optical illusion! One night when I brought the tour into the Florentine Ballroom, we were standing around by the piano when someone asked me what kind of music would have been played in the room. The effect was so spooky that I decided on the spot to try it more often. I make a point of eliminating as much BS as possible from the stories on my tours, but I’m not above adding a little atmosphere here and there. I’ll leave lights turned off for no particular reason, put the flashlight under my chin, and all of those simple tricks. And, as we walked away from the piano, we heard another solitary, high-pitched piano note come out of nowhere. It was heard twice more that night – and was witnessed by a security guard. The notes were faint, but seemed to come from the general direction of the piano. Now, this sort of trick – trying to get a ghost to play piano or roll a ball around or tap on a table – doesn’t work very often. I don’t mind trying it out on investigations, but it’s usually just for fun, or to kill time. You don’t expect to get results with this sort of thing. But on this night, after I played the scratchy tune, maybe a ghost wanted to correct my mistakes! Now, in the interest of full disclosure, there were several exhaust fans (and all the accompanying belts and engines) running near the room, which made sounds like crickets. It’s certainly not impossible that they would have made a noise like a piano note, or that the acoustics in the room would have made us think the sound was coming from a piano. You have to allow for a lot of “maybe my imagination ran away with me” on any ghost investigation. But man, was that ever cool!